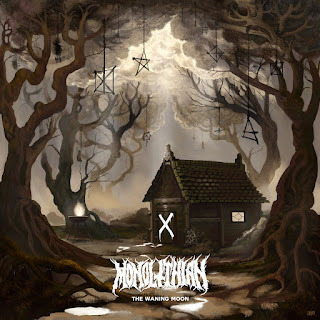 Tonight's review features a band that's a bit closer to home, in the form of Cornwall's crust/doom duo Monolithian. They released their latest record "The Waning Moon" in January. It's release was a collaborative effort between Atomsmasher Records, Bad Roader Records, Autonomonster Records & Charlie's Big Ray Gun Records. This review goes out just as Monolithian are winging their way through Europe and Scandinavia with Rash Decision. I’ve got a lot of time for Monolithian. Simon and Shannon deserve all of the attention they’re getting right now, especially in Europe. Their new album “The Waning Moon” exhibits a new level of focus. Crone demonstrates that with an intense barrage of sludgy black metal and their unmistakable bass/drum, dual-vocal attack. Nyarlathotep demonstrates their ability to deliver ambient, restrained soundscapes as well as heavy noise. It doesn’t remain so restrained though as the latter half of the song returns to more familiar territory for a brief passage at least. It’s a glorious piece of music. 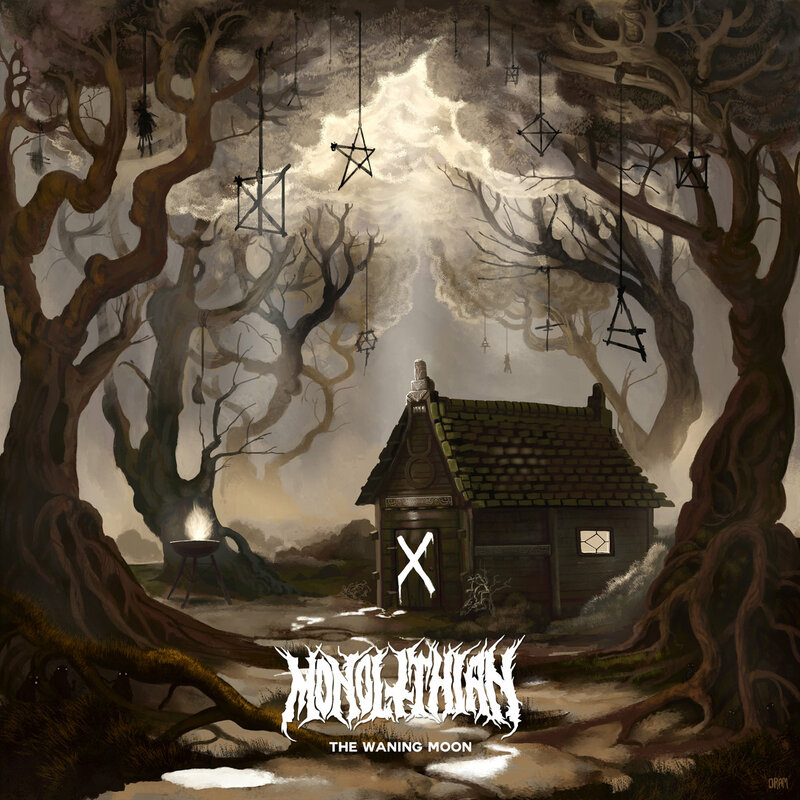 Monolithian seems to have eschewed their more crusty leanings on “The Waning Moon” and I don’t think they’ve ever sounded better. The Mountain Bows To No One shows just how effective a bass guitar can be at punching out riffs and tone in perfect when set against Simon’s low bellows and Shannon’s mesmerising percussion. Ixodes airs more towards the metal end of the spectrum, which isn’t a bad thing at all, though it’s more extreme than mainstream as you’d expect. What it does show is the variation within the duo’s songwriting and their ability to experiment. it’d be great live. The drumming at the start of the brilliantly titled Mantis Rider is almost tribal to start with but the intro leads to a song with quite an off-kilter rhythm. Once the riffs and vocals fully kick in, it morphs into a very different beast. Infectious isn’t usually a term used for this form of heavy music but it’s nevertheless an accurate one. I could quite happily play this album over and over again. I think Monolithian has reached a new level and long may it continue. Physical copies of the record are available from Monolithian here - http://www.monolithian.bigcartel.com.